If you missed #50 click here. Best Moment: Call me biased but, the fact that Rob Zombie's song is the signature song of the game makes me very very happy! Do you like sled and snow based racing games? Do you like Rob Zombie? If so, we've found your perfect game! I always remember that this is one of the first Playstation games I ever played. I can't remember how or why, but I know it to be the case. It was probably the fourth or fifth game I played. This game has a strong significance with me because it was the first time I ever heard Rob Zombie. I played this game, heard the remix of Dragula, then years later, heard it again and was like, "where on earth have I heard this song before?" And it took a while longer again to realise it was from this game! 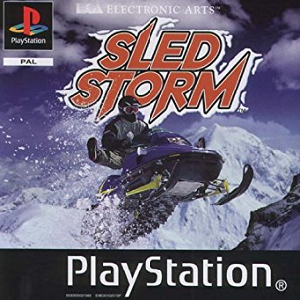 It's not the best snow based EA game to come out, after a while the game gets very repetitive. But, I truly believe, if it wasn't for this game, the SSX series probably wouldn't have existed. 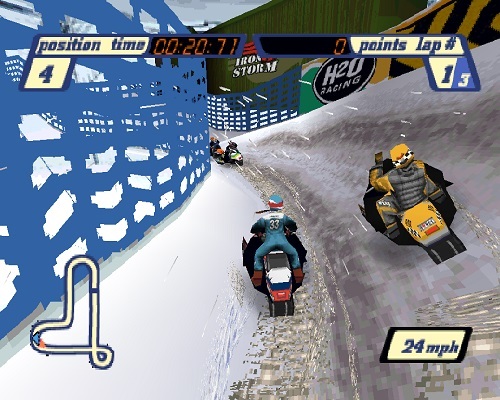 You could argue that this game was the original SSX game, just no where near as good as SSX became, particularly of course SSX Tricky. But it's still a good play, and it personally brings back lots of memories. For #48 in my countdown click here.